An enchanting fusion of world music from the Silk-Road, Gülay Princess and the musicians blend song and graceful choreography to take their audience on a journey where East meets West. The Ensemble has performed worldwide from the Imperial Palace in Vienna to Carnegie Hall in New York. The group's World Fusion Music from its Silk Road Tour showcases exotic melodies in about 20 languages as well as various instruments and dances, with elements from Central Asia, in their performances. Gülay Princess' CD "colors of silk" was selected by Russian scientists of the Institute for Biomedical Problems in Moscow and was sent to the International Space Station in July 2001. In October 2001 Gülay Princess & Ensemble Aras appeared in Moscow with Mr. Yury Usachev, commander of the ISS as guest of honour. 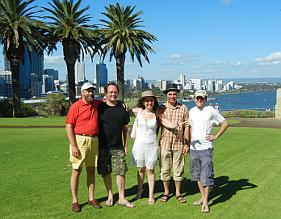 In 2011 Gülay Princess & The Ensemble Aras were in Western Australia for the first time. They appeared in Perth, Fremantle and Merredin. The ensemble's debut concert in North America was in New York's world famous Carnegie Hall on 22nd September 2005.